When it comes to making revenue, having exceedingly-well KPIs are what makes it key. Be sure to stay on top of all the important factors that help achieve your goals with your campaigns. Whether it be the view-through rate or click-through rate, knowing the numbers of how your video campaign’s performance is key. Keeping up with KPIs such as traffic and time spent on your campaigns will help you further plan your upcoming campaign strategies. 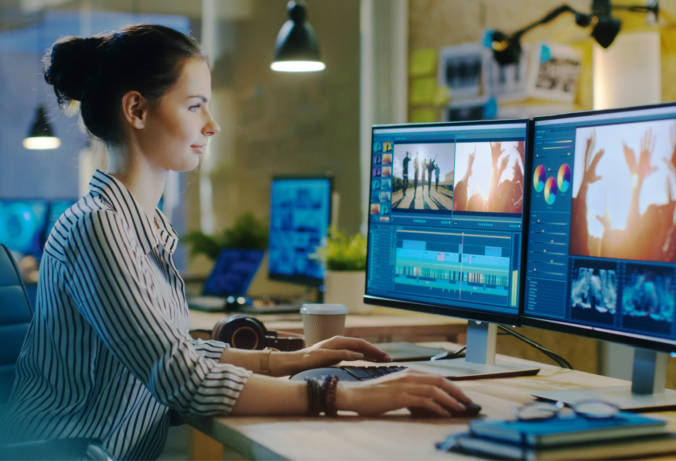 Recently, we talked about the rise of video content for publishers – something that all online marketers need to consider is what the video, or in this case campaign entail. Know your target audience. Take the time to plan and strategize what your objective is with your moving campaign- are you focused on branding your product or service, or are you keen on your performance? Are you looking to drive your performance with native video advertising? To attract your audience, think about what your message is and what you are trying to convey. What do you want to tell your viewers? Next, how can you show this message to your viewers? Consider the visuals combined with audio that you are looking to use when producing the campaign as it only takes a quick as 10 seconds to lose a viewer if you fail to interest them. If you were the viewer, what would you want to see? How long should your moving campaign be? According to eMarketer, the average video ad completion rates in North America are 71% at 15 seconds, 70% at 15 seconds without skippable inventory, and 73% at 30 seconds. That said, there is not a specific length that your video ad needs to be. This is because it depends on what your goals are. If you are looking to improve your KPIs -particularly your CTR- and garner awareness, shorter-length videos will boost your performance. Video campaigns that are about 15 seconds long enable you to directly emit information to your viewer in the quickest, yet to-the-point way. 30 second campaigns, however, give you the advantage of nurturing your brand and using the power of storytelling to potentially hook your viewers into loyal consumers. Be sure to initially set your objectives and goals to ensure a more effective and well-received ad campaign. The format of your video ad holds great importance for many reasons. In light of Google’s recent initiative of Better Ads taking effect, complying with the Coalition for Better Ad’s Standards is what will keep your campaigns from being blocked and away from your target online users. With our Native Outstream Ad, advertisers are sure to benefit in many ways. The Outstream Ad helps place videos right within users’ natural flow of reading for maximum attention. Not only will the likelihood of online users blocking your video campaigns be low, your campaigns will not be removed off Chrome as well. Using our Outstream Ad will be sure to keep you Better Ads compliant, which will drive your KPIs, reach your target audience while giving them a better user experience, and drive your revenue. If you have any further questions or interest in plista’s Native Outstream Ad, your account manager will be happy to support. Feel free to contact us.